We've finally put the [crazy] year of 2016 behind us and it's time to refresh our annual travel bucket lists! It's time to get our planners out and start making moves. I have a good feeling about travel in 2017 because so many great destinations all around the globe are really pushing efforts to make tourism more accessible for visitors. We're seeing a rise in trends with sustainable travel, ecotourism, wellness travel, and much more. Whatever your travel style is, I think there is one thing that we can all agree on after last year, and that's the importance of taking care of ourselves--mentally, emotionally, and physically. Travel can certainly be an aide for each of these things and help guide your path along the way. Contrary to my normal desire for the urban landscapes (don't worry, there's still quite a few cities in here), I was really inspired by the natural world in pursuing this year's inspirational bucket list for you. So get your passports ready and let's dive into this year's 17 Places to Travel in 2017! Cape Town is really coming in hot on the travel scene for its fresh combination of lush nature plus contemporary art. They have the iconic landscapes with the gorgeous mountain tops and urban valleys that we all have seen in photos, but the food and art scene is also really on the rise here. Looking forward to seeing what else this city has to offer! Asheville has been topping the charts for places to visit in 2017 across multiple travel sites. It's another urban meets nature destination that is right in the heart of North Carolina's mountain region. Come here for the views and stay for the historic architecture, hip art scene, and luxurious getaways (like the Biltmore Estate shown above!). Is the beach calling your name this year? I know I can hear it... Maybe it's time to step up your beach game this year and head to the secluded, exotic islands of Seychelles, which is just off the coast of Africa's eastern shore. It puts a lot of other beach destinations to shame with its impeccable white sandy beaches and crystal blue waters. Perfect for couples or families who want to escape to paradise! I told you I wasn't going to be short on cities for this list! There are so, so many reasons to head to Canada right now--the biggest being the favorable exchange rate for US citizens. Montreal is topping the list of Canadian cities to check out in 2017 for its flawless combination of Old World meets New World. You have the charm of the old city (and not to mention that everyone speaks French so it feels like you're in Europe without the cost) mixed with the hustle and bustle of the modern city--complete with skyscrapers and all. The culinary scene here deserves a serious shout out too! Great for foodies, couples, solo travelers, and families. Another secluded destination for those of you who want to indulge in a little eco-tourism. Sri Lanka has recently been coming on many traveler's radars for its diverse landscapes that the country has to offer. You can find white sandy beaches, rainforests and plains, ancient ruins and temples (some dating back to over 2000 years), and luxurious-yet-sustainable resorts. If you're craving some adventure in 2017, head to Botswana for a true taste of wildlife and nature for a trip you'll never forget. Conservation groups and philanthropic efforts have done an amazing job in recent years at preserving the land and enforcing antipoaching efforts. You can take a safari to admire the incredible wild animals in their natural habitats during the day, and retreat back to your eco-friendly and sustainable accommodations by night. On August 21st of this year, there will be a total solar eclipse visible to parts of the United States for the first time in almost 4 decades. To get a prime view of this phenomenon, it's best to head out of the city lights and into the rural areas of the country to see it. Jackson Hole would be a perfect destination for this because of the quiet and serene surroundings of this destination. Plus you have plenty of other outdoor activities to keep you occupied throughout the rest of your stay! Environmental experts and scientists have been noting that the picturesque islands of the Maldives might be in danger of sinking because of climate change, so there's really no better time than now to experience it while we still have them! Escape here for an unforgettable tropical getaway where you can indulge in all the luxuries that the destination has to offer. Blue lagoons, extensive coral reefs, pristine beaches, and eco-friendly hotels makes this a perfect destination for couples looking to have a romantic time together in paradise. Scandinavian countries are definitely having a moment in the travel world right now. Sweden has been making efforts to have tourism become more affordable and accessible to foreign visitors with things like dropping hefty museum prices and entrance fees. 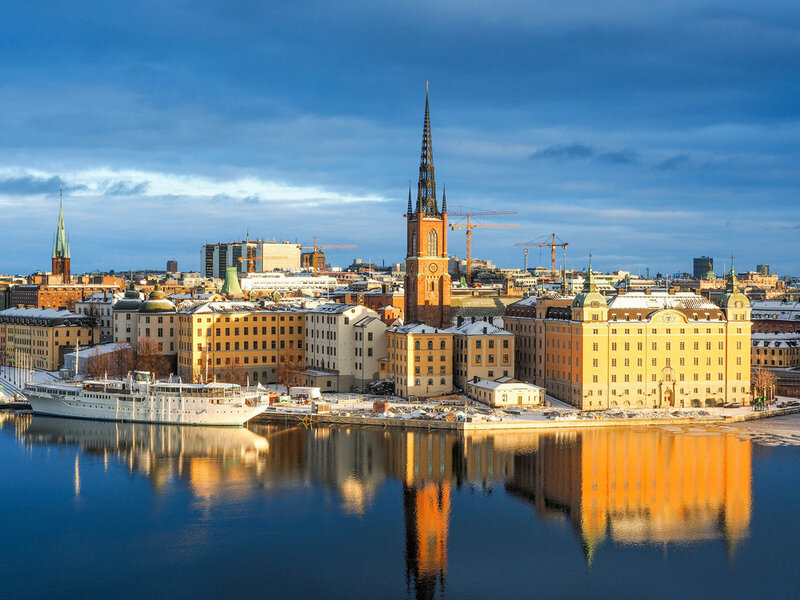 The exchange rate has also been more favorable here than it has in recent years, making it an ideal time to visit gorgeous cities like Stockholm. While most people think to visit Sydney when they travel to Australia, there are also plenty of other areas to explore while you're "down under." If you're into scuba diving and exploring nature, you might want to consider taking a trip to see the Great Barrier Reef, which has very sadly been experiencing extreme coral bleaching due to climate change and traditionally different weather patterns. Regardless of this, it is still considered one of the most beautiful diving destinations in the world. There's also other Australian cities, like Perth, that are experiencing a new wave of foodie hot spots and trendy cocktail bars if you're looking for a more urban vibe. Another romantic and charming city with a historic Old Town, cobblestone streets, and vibrant colored buildings. Doesn't get much better than that! Cartagena is a beautiful destination for travelers looking to experience a tropical vibe with relaxing beaches, charming streets and town squares, and colonial buildings lining the Old Town streets. It's a great alternative for people who love the vibes of the Caribbean islands, but want to get a taste of South America too. If you saw my list of Fairy Tale Destinations to Put on Your Bucket List, you already know that Colmar is at the top of that list. The city of Colmar proves that Paris isn't the only beautiful destination in France. This little fairy tale town in the northeastern region of France is rumored to be the inspiration for Disney's Beauty and the Beast (not confirmed, but you can't help but wonder once you start seeing the pictures of the town--especially the fountain). 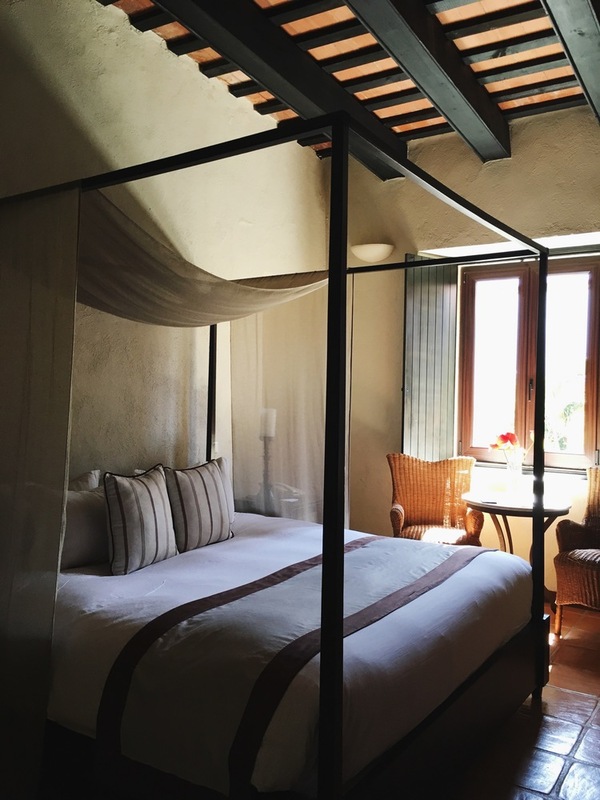 You've got cobblestone streets, medieval and Renaissance-era architecture, an adorable canal with unforgettable views, and wine country right around the corner. Thanks to Game of Thrones and The Yacht Week, Croatia has come on a lot of traveler's radars in recent years. This boom has encouraged the city of Dubrovnik to really push tourism efforts to attract more and more visitors. Dubrovnik's limestone paved streets, massive stone walls around the city, exclusive beaches, and incredible historic architecture makes this European city a dreamy destination. It's no wonder this was the site of "King's Landing" in the popular HBO series--it's totally fit for a king! Just off the coast of Africa is a little group of Spanish islands known as the Canary Islands. While these islands don't get nearly enough attention as they should (though they probably will in years to come), they have been a popular destination for surfing enthusiasts and mainland locals who are looking to get a taste of the island life. If surfing, seeing black lava and white sand beaches, and general island living is your thing, maybe you should add this destination to your list! What is not to love about this charming Scottish capital? You have the medieval influence and architecture of the Old Town, alongside the elegant charm and Georgian influence of the New Town. The trendy food scene and up and coming art scene always makes for plenty of entertainment as well. Plus, after Brexit last year, the exchange rates in the UK are all much more favorable for tourists than they have been in recent years. I'm calling it right now that St. Augustine will become one of the new, hot (literally and figuratively perhaps) Southern destinations this year. We saw how popular Charleston and Savannah became in recent years and I think that this charming Floridian city is not too far behind. Old Spanish architecture, cobblestone streets, and charming beaches to relax make this another domestic destination to add to the bucket list for 2017. What places are you looking to travel in 2017? Is it somewhere near or far? Comment below with more suggestions, or take a look at last year's list for more inspiration! INSTANTLY ACCESS MORE TRAVEL TIPS NOW!